VMware today announced its intention to buy Nicira for $1.05bn. VMware already dominates the server virtualisation market, but with this latest buy is looking towards a stronger play in networking, thanks to Nicira’s focus on software-defined networking (SDN) and network virtualisation. 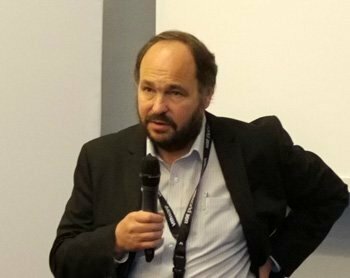 “VMware has led the server virtualisation revolution and we have the opportunity to do the same in datacentre and cloud networking,” said Paul Maritz, CEO of VMware (pictured). SDN company Nicira formed five years ago and offers multi-hypervisor network infrastructure, enabling users to remove the control from the hardware and run the network from a software perspective. Nicira has also played a substantial part in the OpenFlow, an open standard that enables the data path and routing decisions within a network to be separated, allowing for data to travel across the network of any vendor’s equipment. Nicira has pledged to remain committed to open standard, following VMware's acquisition of the SDN specialist. “As we move to the future with VMware we absolutely stand behind our commitment to contribute and even accelerate open projects,” wrote Martin Casado, founder and CTO of Nicira, on the company’s blog. The deal is expected to close in the second half of 2012, but VMware will be showing off the capabilities of what it describes as its software defined datacentre at its conference in August. Last week Paul Maritz announced he was handing the CEO reins of VMware to EMC’s chief operating officer (COO), Pat Gelsinger, on 1 September 2012. Maritz will become the chief strategist at EMC but remain on the board of VMware, which he has run since 2008. CW500: Where next for virtualisation?